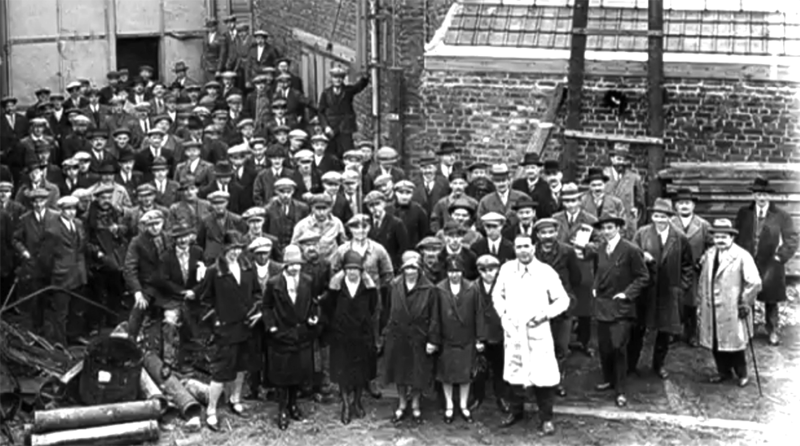 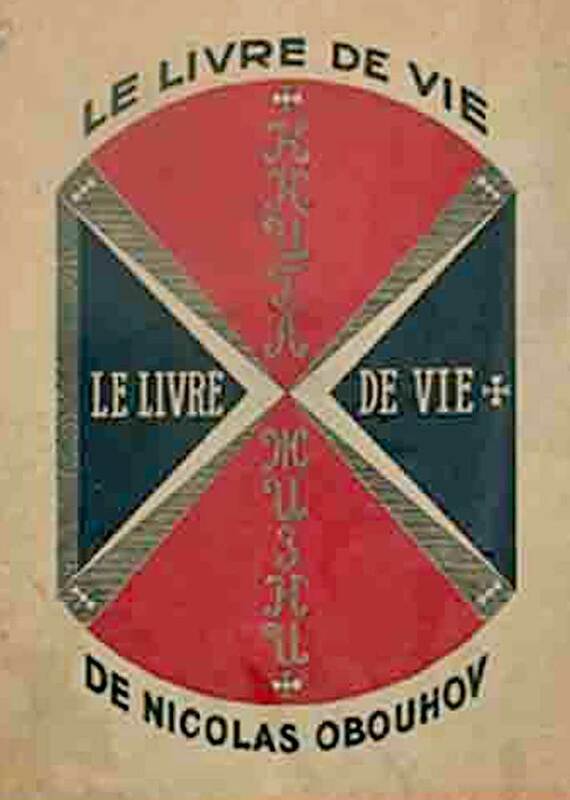 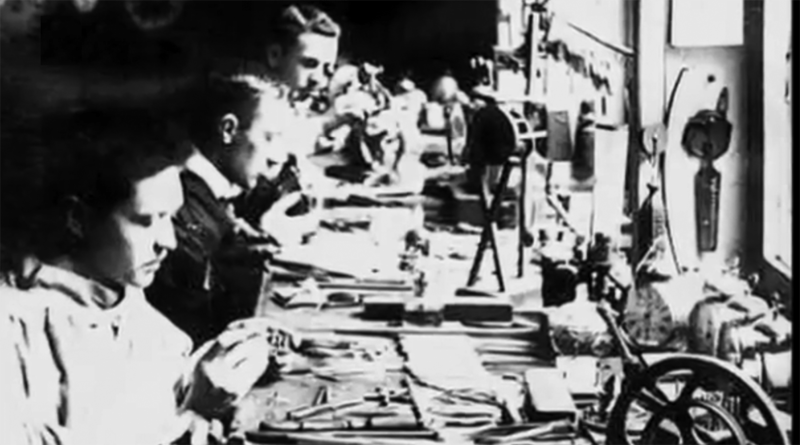 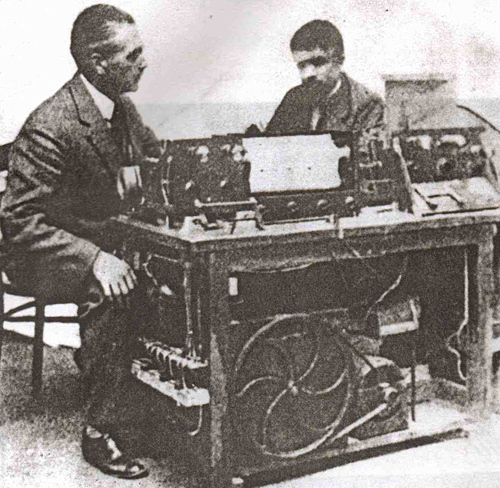 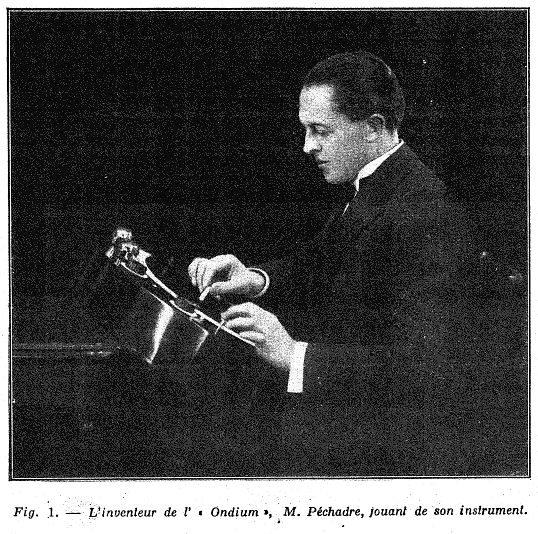 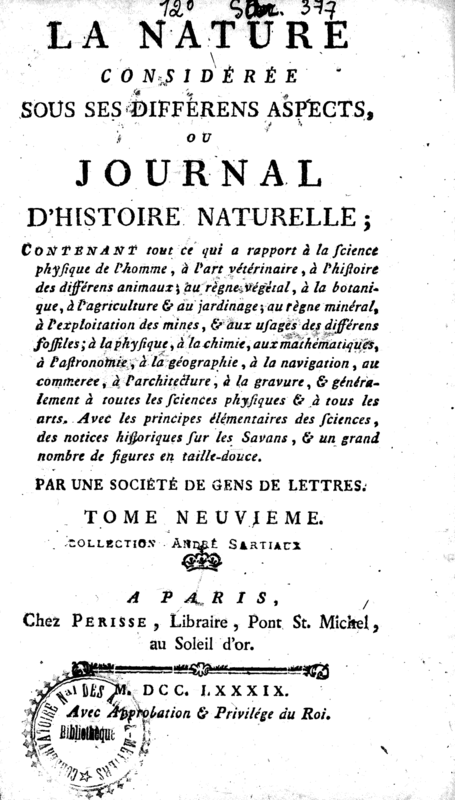 The Ondium Péchadre was developed in France by Henri Camille Robert Péchadre in 1929. 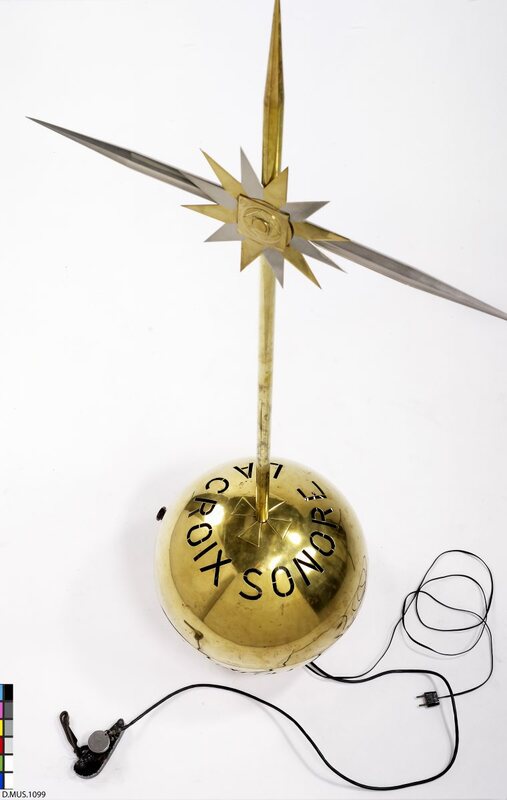 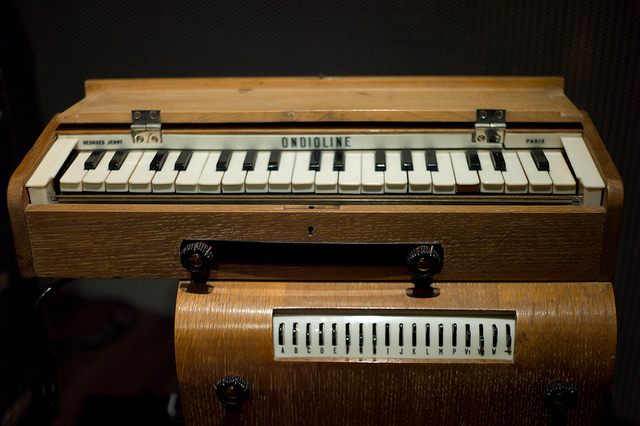 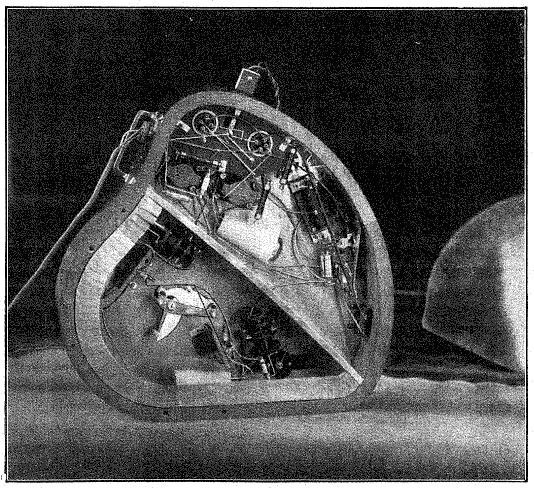 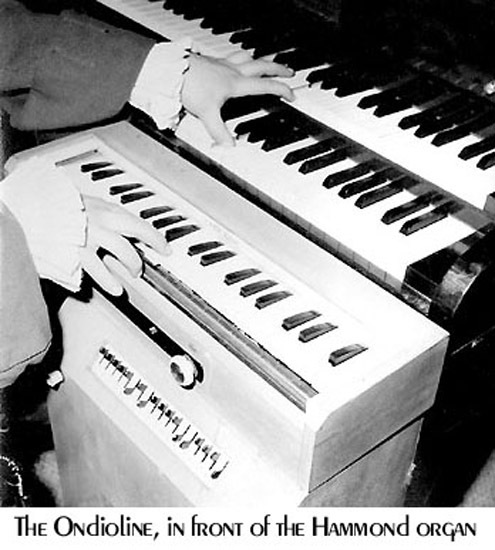 The instrument was a monophonic heterodyning vacuum tube oscillator based instrument built into a light and portable heart shaped box, in performance the base of the instrument rested on the players knees and the instrument was supported against a table. 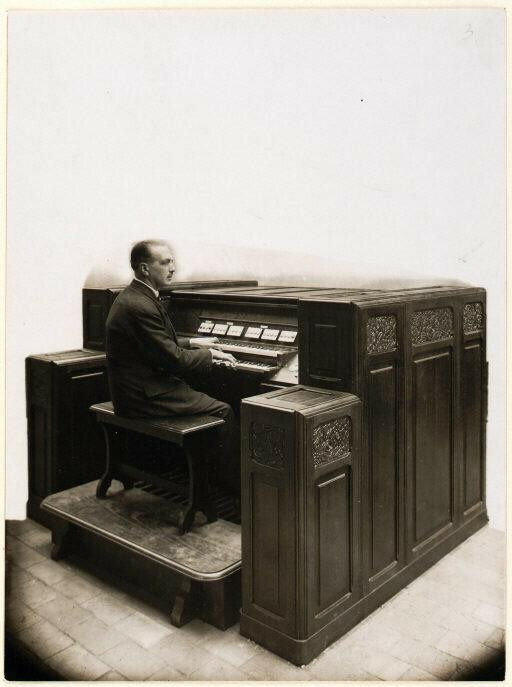 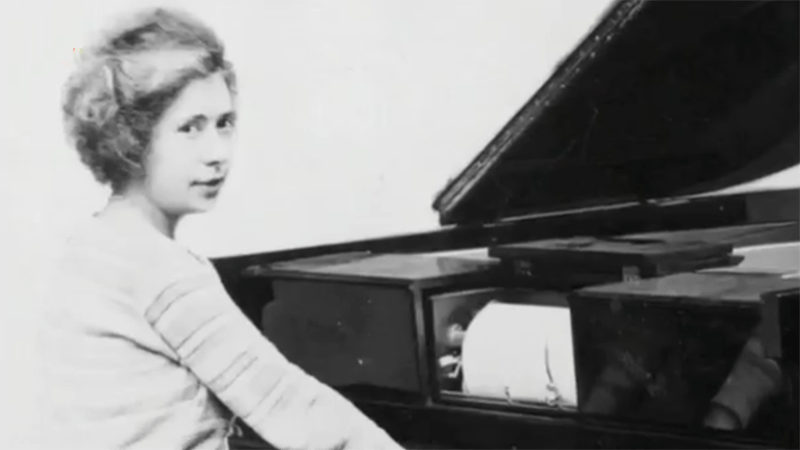 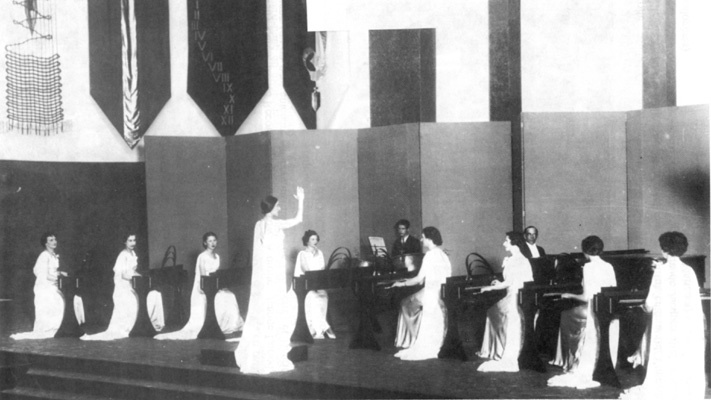 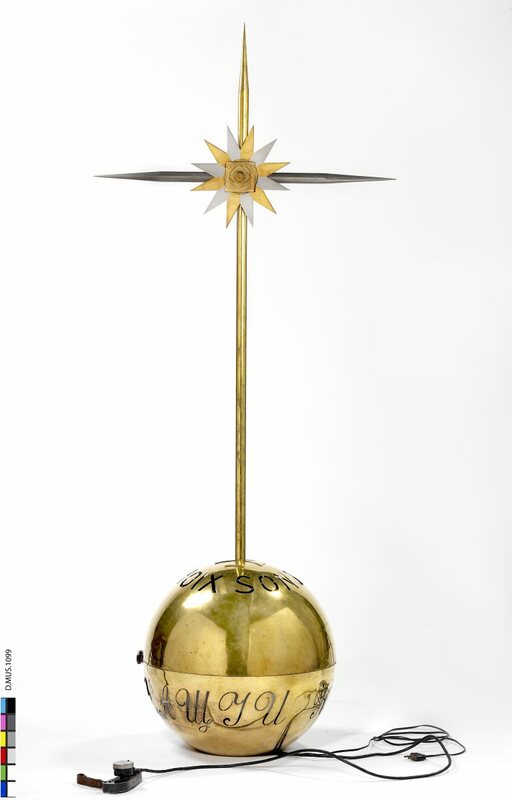 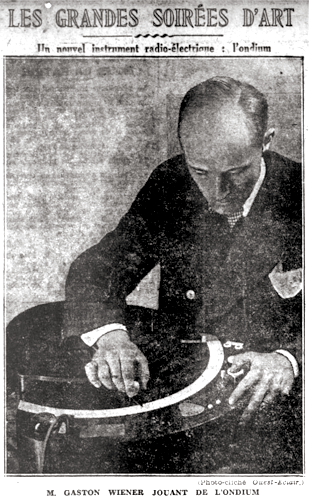 The seven octave range of the instrument was controlled – in a way similar to Jorg Mager’s Sphäraphon of 1924 – by moving a pointer around a circular calibrated dial while the left hand controlled the volume of the sound with a velocity sensitive push button device. 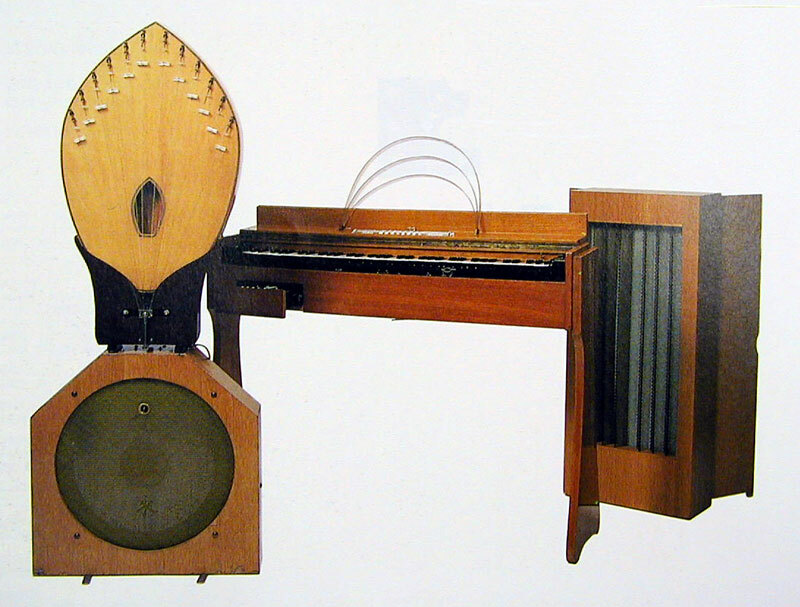 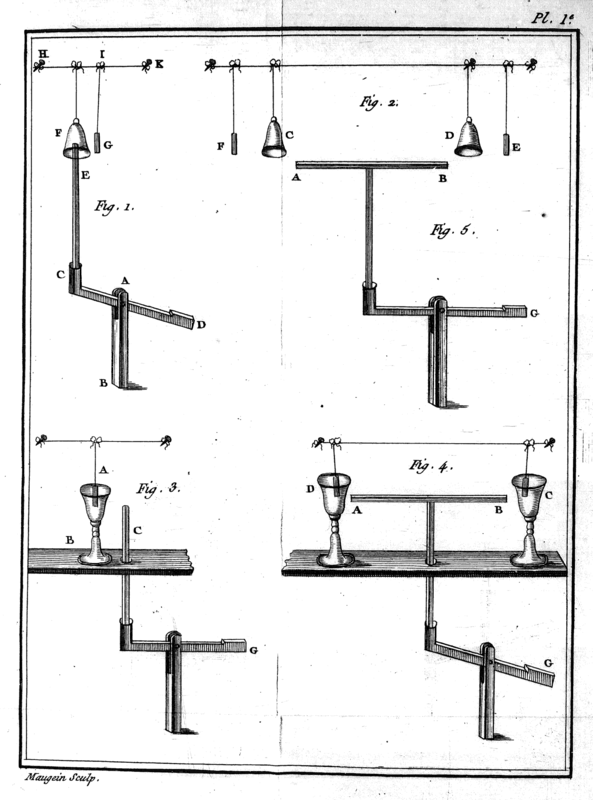 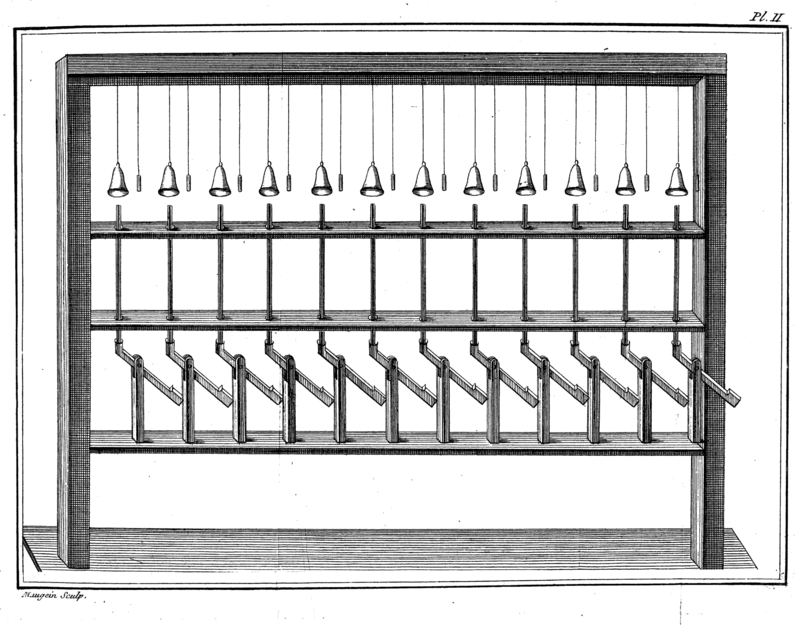 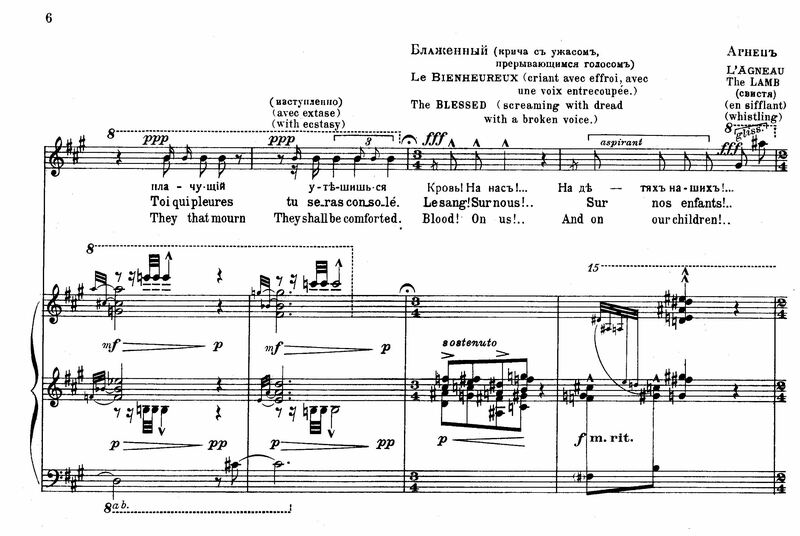 This allowed the instrument to create a continuous pitch similar to a violin or cello, or by using the volume control, the sound wave’s envelope could be altered to give a more staccato effect. 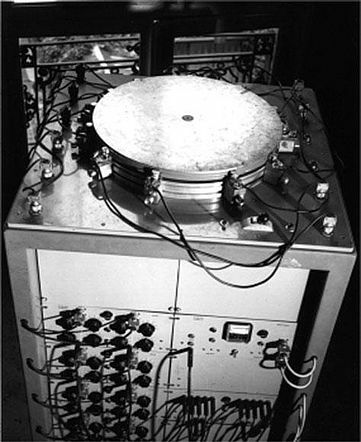 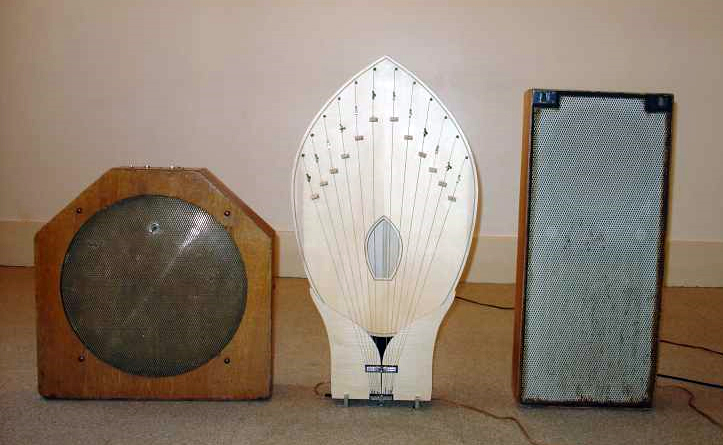 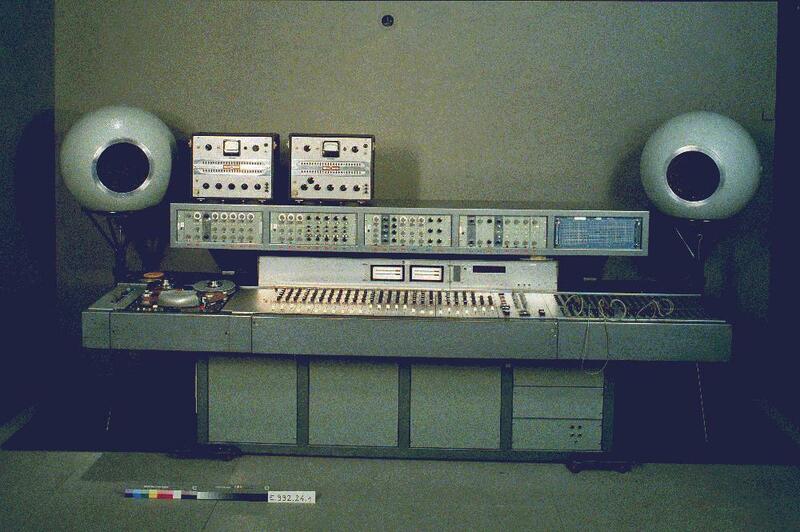 As with other similar instruments, The Ondium output sound to an amplifier and loudspeaker but, uniquely, was also able to transmit sounds directly via radio waves to a radio receiver or network. 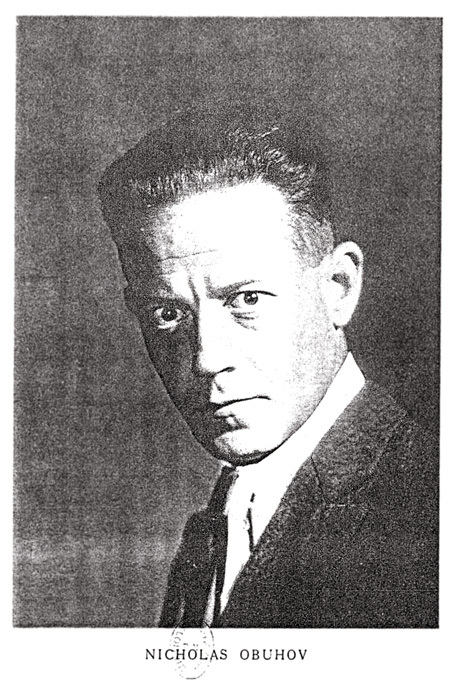 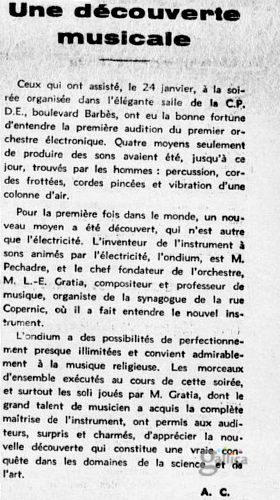 Gaston Wiener quoted from ‘L’Ouest-Éclair’ 1935. 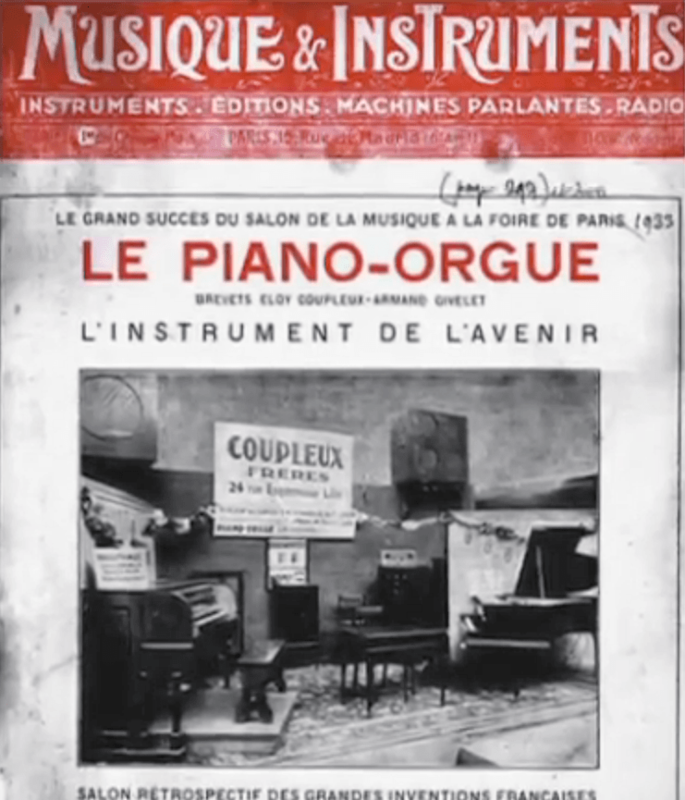 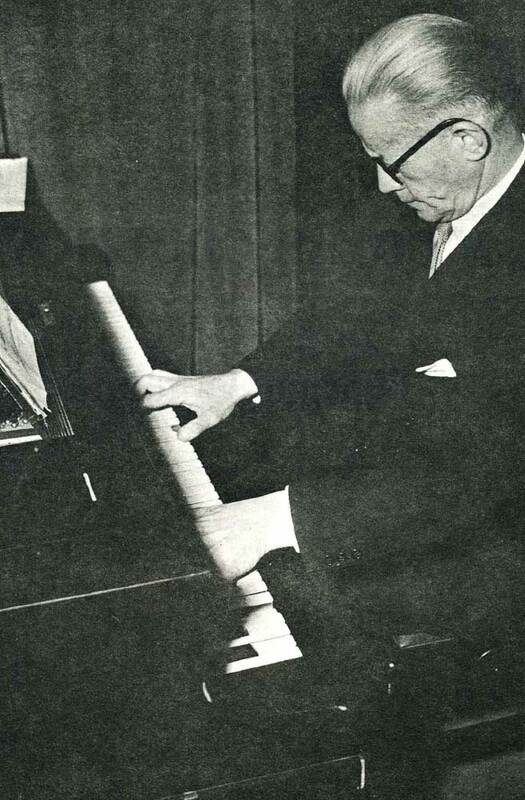 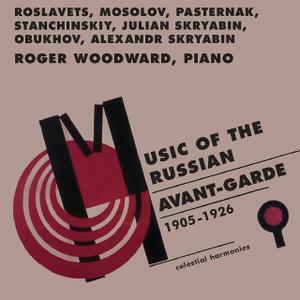 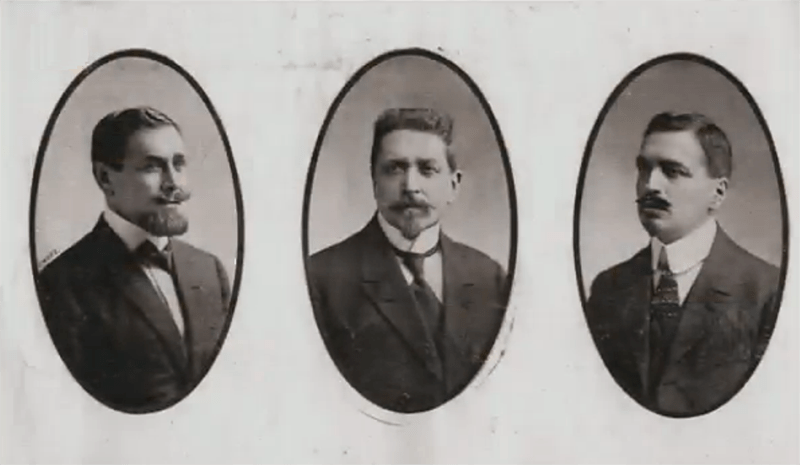 Péchadre toured with the Ondium throughout France in the 1930s where, accompanied by an orchestra, he commissioned well known musicians (Gaston Wiener, pianist, Jacques Serres, cellist and Georges Hugo, pianist) to perform popular classical works by Saint-Saëns, Mozart, Delibes and others as well as surprising the audience with the instruments versatility by imitating bird song. 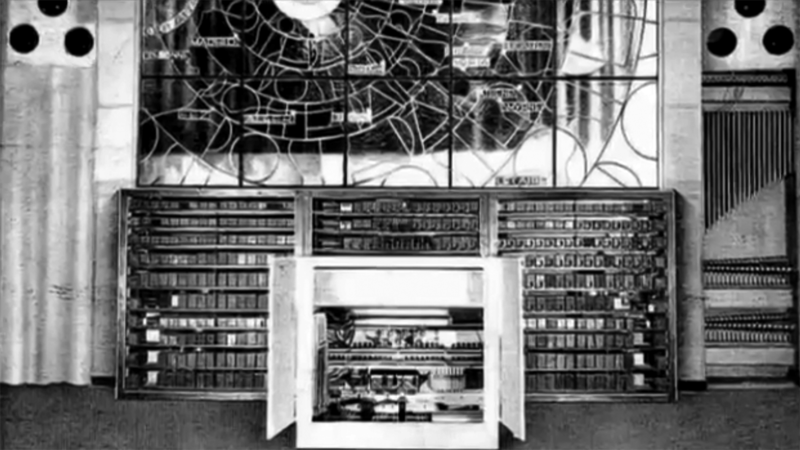 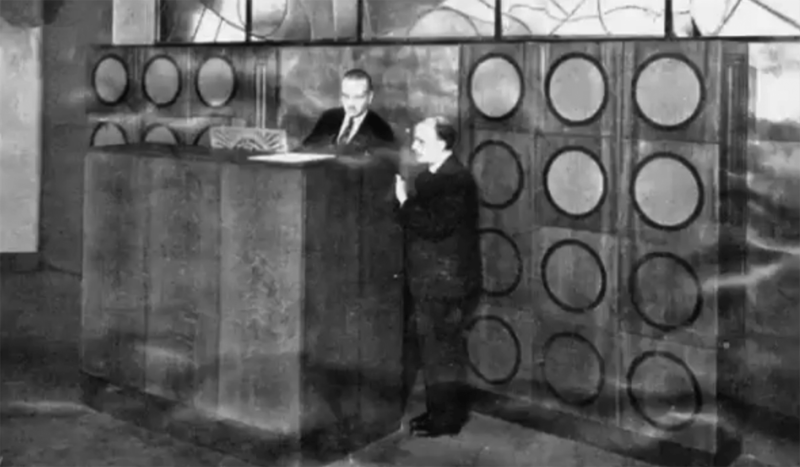 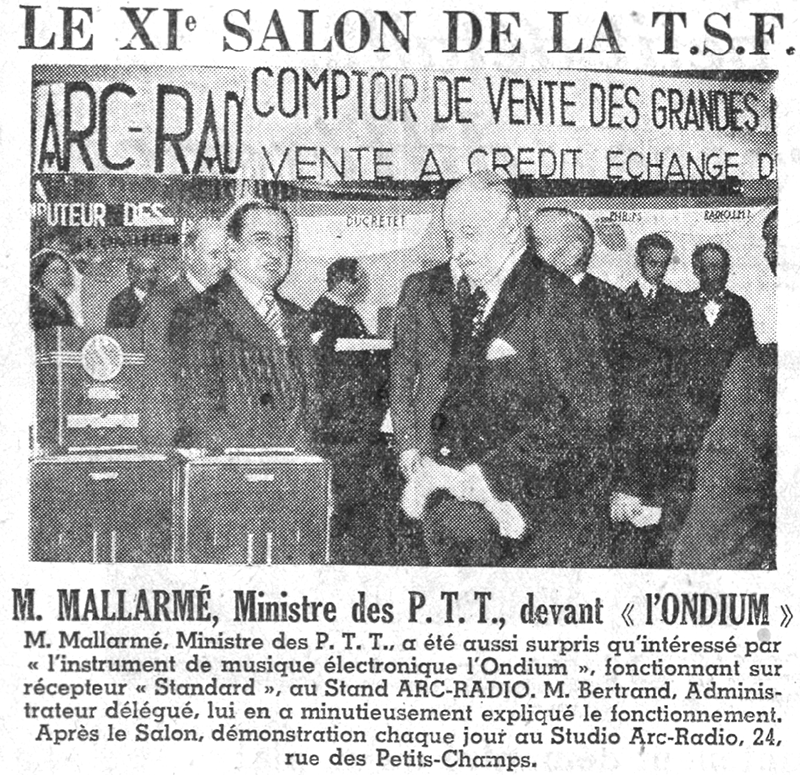 Telecoms Minister M. Mallarmé in front of boxed commercial versions of the Ondium at the ’21st Radio Salon’ Paris, 1934. 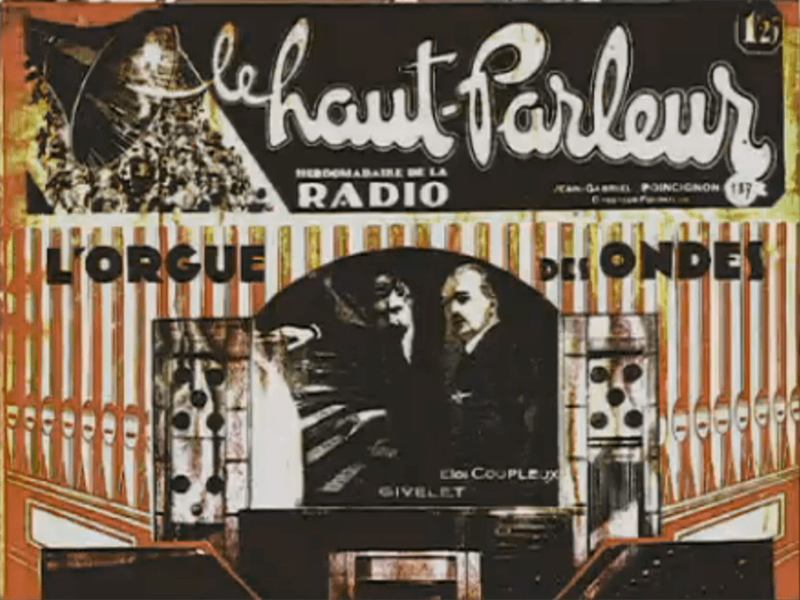 Image: ‘Paris Soir’ September 1934. 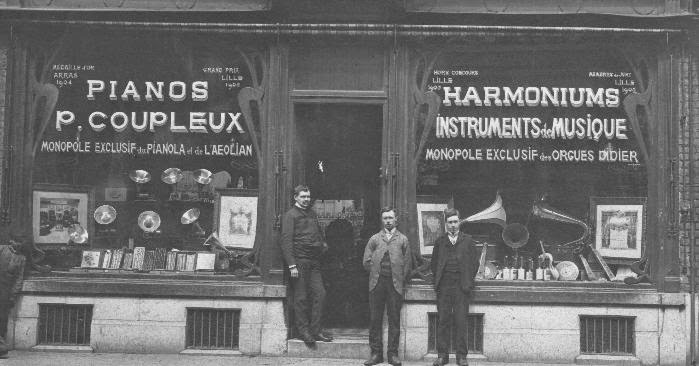 ‘L’Ouest Eclair’ Rennes. 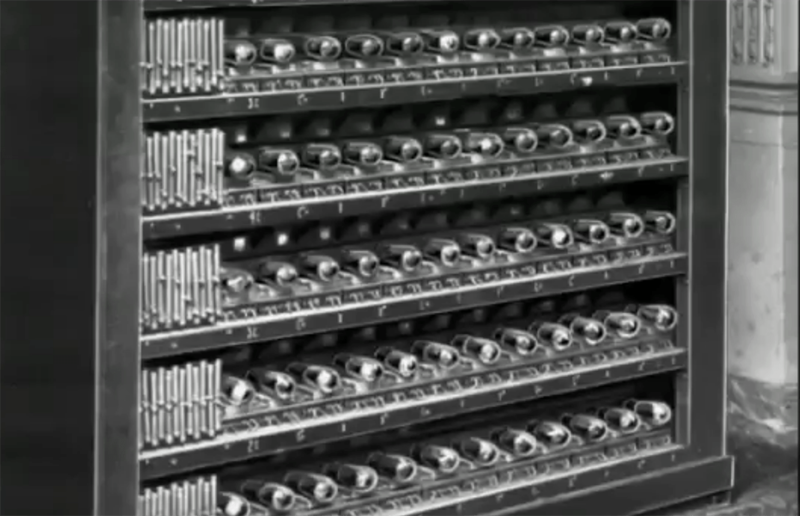 29/10/1931 number 12775.